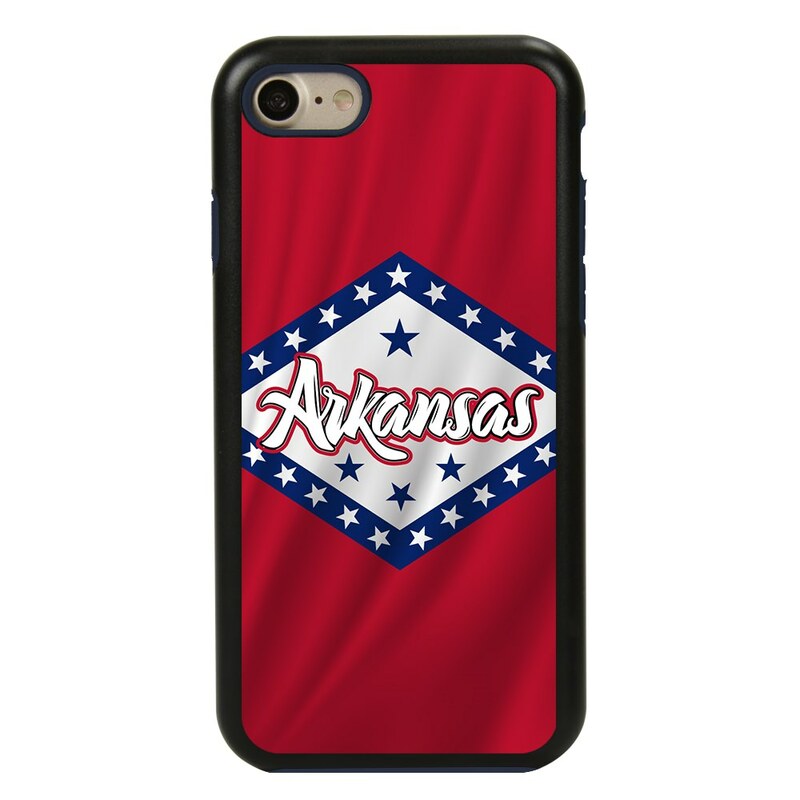 Continue reliving vacation memories or embrace your birthplace with these Arkansas state flag phone cases. 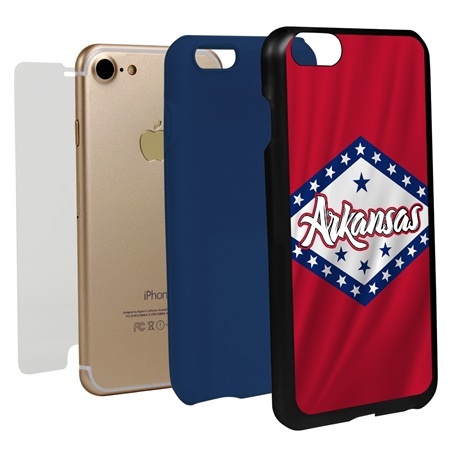 These dual layer protection cases offer excellent protection against drops and chipping, plus an excellent case-personality with bold, striking colors of your chosen state’s flag. Includes Guard Glass screen protector. When a trip means so much, it feels good to take some of it back. These Arkansas state flag cell phone cases are a great way to relive a great journey, either for you or a friend. Forget useless knickknacks, these are excellent gift options for their functional and good looking features. These cases are dual layer protections composing of a hard outer plastic shell, scratch and ding resistant, cushioned by a shock proof inner silicone lining that hugs your device. 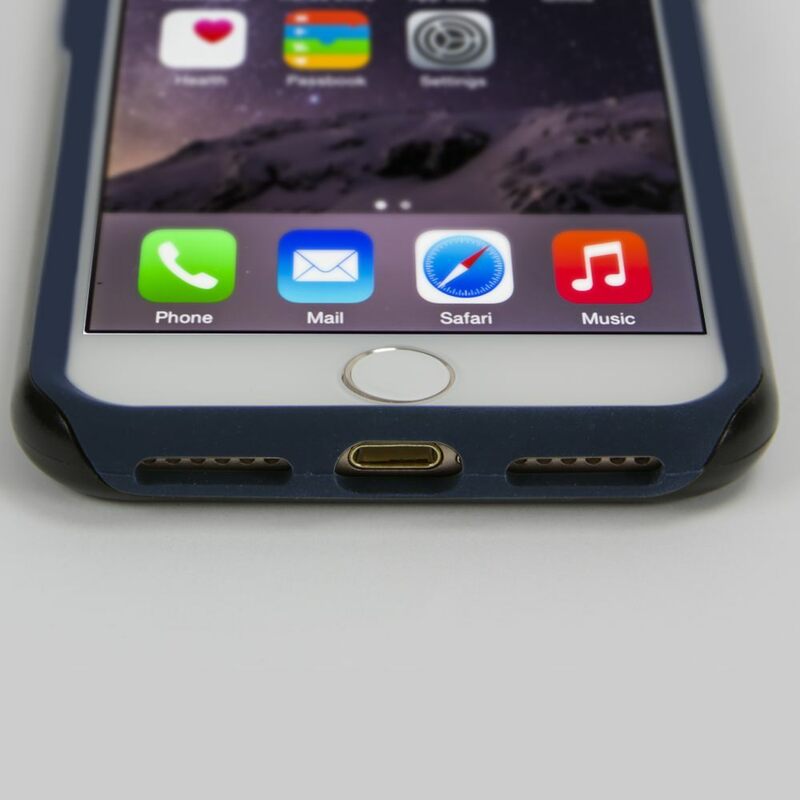 This case includes a Guard Glass screen protector, perfect for travel.